Andersen was always every bit as strong and powerful as her male counterparts in the water, but watching Trouble at the London Surf Film Festival I was reminded that her style is also feminine and graceful; the way she moves along the waves is more like a dance with the ocean than an attack. Andersen revolutionised what it meant to surf like a girl and crushed stereotypes both in and out the water, and I was lucky to have her as a role model when I was a kid. I grew up in a small town in Devon, away from mainstream surf culture and most of the surfers I saw around me were 40-year-old men. When my elder sister and I bought surf mags, we would scour the pages to find photos of women surfing – for something we could relate to – and were frequently disappointed that the only trace of women was the backsides of Reef girls. While I was still playing in baby waves, Andersen had just won her fourth world title. She had already become the first woman to appear on the cover of Surfer Magazine and was the face of the first ever women’s surf brand, Roxy, who were later to become my surf sponsor too. I felt inspired by Andersen and looked up to her as a pioneer. When Andersen won world titles and broke down barriers, she changed the surfing industry for us all, helping young women like myself to break through. Without her, I suspect titles such as Surf Girl Magazine, which launched the year I turned 15 and won my first British title, may never have been launched. When I was 16, I was fortunate enough to surf with Andersen for the first time at Namotu Left in Fiji. I was nervous. I’d never surfed a reef like this before or been in tropical waters, but she paddled out with me and sat next to me in the empty line up, calling me into waves and hooting. She was there with her daughter, Erica, and it blew my mind that she could be both a mother and a professional surfer at the same time. Andersen was writing her own script. Trouble takes us on a raw and honest journey deep into Andersen's all too relatable life story; broken homes, abusive relationships, female rivalries, the realities of being a mother and trying to retain a career. We learn how her parents disapproved of her ambitions and how she ran away from home at 16, leaving a note saying “gone to win a win world title.” Watching her story, I felt gratitude that she had the power to share it all with such candour. Similarly, Surf Girls Jamaica, which won Best British Film 2018 at the London Surf Film Festival, digs deep into the story of Imani Wilmot, a talented 28-year-old Jamaican surfer who made the podium at every surf contest she competed in for almost a decade. Rather than focus on her undoubted ability in the waves, the film's directors, Lucy Jane and Joya Berrow, train their lenses on Wilmot's struggles as a woman in a challenging, patriarchal Jamaican culture where she has had to fight for her place as a surfer. Wilmot received no major sponsorship or media attention, despite her evident talents, and has remained relatively hidden from view. "Black women’s stories are not represented in the surf industry, so we wanted to tell a story that humanised this issue but was still hugely empowering for the characters and global community of black female surfers," says Berrow. The film explores how Wilmot has created a safe space for fellow Jamaican women to learn to surf, affording them the kinds of opportunities she never had herself. "What is so incredible about Imani is that she is using surfing as a social tool, to get the women in her community into surfing so that they can find the peace that they need though the sport and see a place for themselves within it. She is one hell of a role model!" It's rare for us to see women represented in surfing films with such detail, positivity and compassion, as achieved in both Trouble and Surf Girls Jamaica. By documenting women's stories in this manner I feel that surfing culture can become more healthy, empowering and diverse. I really value documentary makers like Berrow and Jane who are reframing the narrative to amplify the voices of women. Indeed, there are a whole world of female surfers out there breaking down barriers, not to mention surfers of different races and religions, surfers with disabilities, surfers from the trans and non-binary communities, surfers in conflict war zones and impoverished communities – all of whom would make great subjects for documentaries. Through the telling of their stories I think that new inspiring role models will emerge. I really believe that what we see, we can be. Without my sister, Andersen and those early editions of Surf Girl Magazine, I would never have believed that I could be a surfer too. 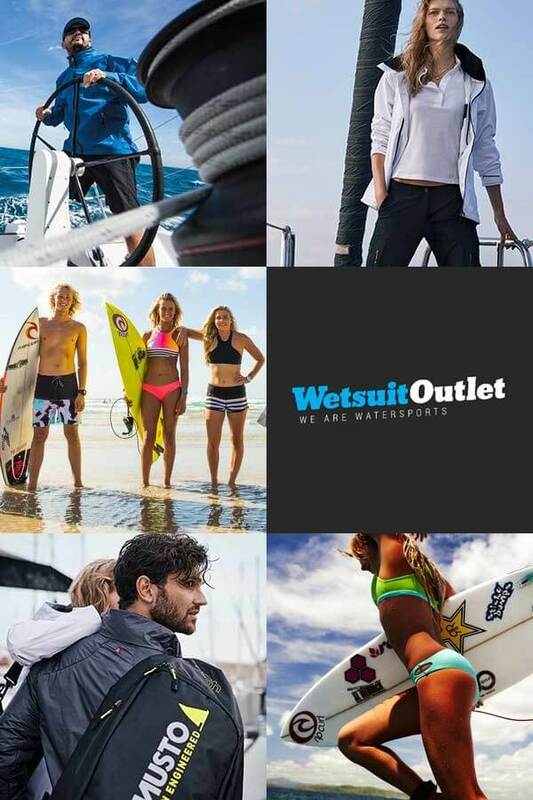 Shop our full range of women's wetsuits here.